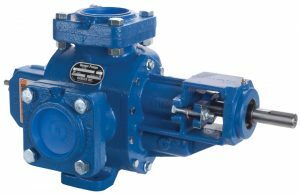 All Pumps – Ranger Pumps Inc.
Ranger offers four series of versatile helical gear pumps for moving both low and high viscosity liquids. 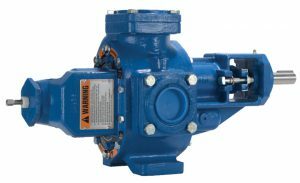 Heat treated ductile iron helical gears provide silent, efficient, and lasting service life. 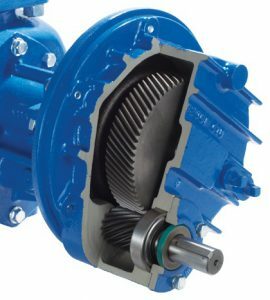 Finely keyed and machined gears are easily replaced by sliding on and off the mainshaft. 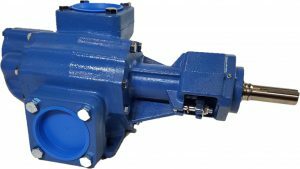 Friction and vibration are kept at a minimum by careful machining of the meshing helical gears. High lead bronze, iron, or carbon bearings are available. 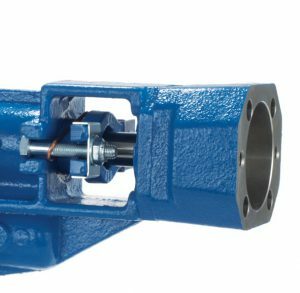 Pumping gears are supported by four heavy duty sleeve bearings to prolong service life. Special machined grooves in the bearings allow both circulation and lubrication for lower bearing temperatures. 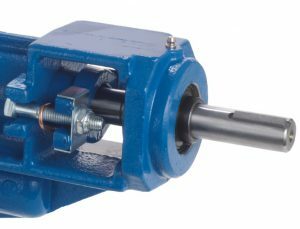 Special outboard drive shaft bearing absorbs thrust loads and helps support external radius loads. 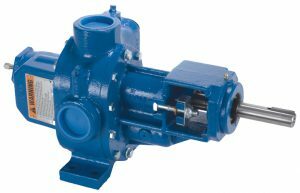 Induction bearing and packing surfaces on precision ground steel shafts extend pump life. Hardened stainless steel shafts are available for specific installations. Maximum pumping efficiency is gained from quality castings machined to high tolerances. Positive alignment of the faceplate case and backplate is insured by large hardened steel dowel pins.